LEGEND Talent Management is dedicated to helping organizations achieve the highest levels of success with their employees. We are committed to helping companies hire the right people for the right positions, and then helping them train, coach, and develop those employees to their highest potential. Through our strategic partnerships with Profiles International, we are able to assist companies in developing high performance models for any position. We can also help determine critical attributes for success, identify areas in which training or coaching will be most beneficial, and discover opportunities to strengthen alignment among team members throughout the organization. 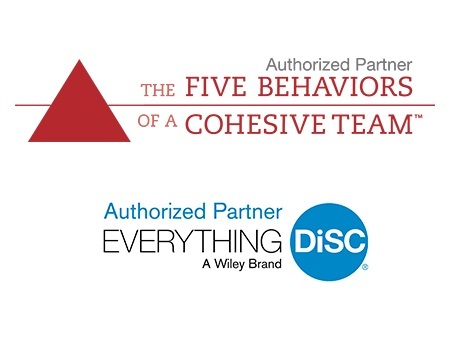 As an Authorized Partner for both Everything DiSC and The Five Behaviors of a Cohesive Team, we can provide a number of assessment, training, and certification options to help your teams understand how to work best together. 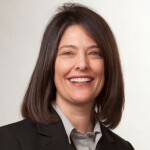 We work directly with executives and managers at all levels. Our goal is to help you create highly engaged, high performing teams in any environment. Developing Your Management Team: We can help you further develop the leaders in your organization by assessing their core competencies, thinking patterns, behavioral styles, and key motivators. We can measure the perceptions of their management abilities from throughout the organization. From this, we can develop customized plans for improvement in designated focus areas. We are always concerned with showing results, so we measure the manager again within several months to help you quantify the manager’s development. Creating High Performance Sales Teams: Does your organization have just a handful of superstars who you wouldn’t mind cloning? Most do. And most sales managers wish they could develop the magic formula for finding and hiring more of them. With our performance modeling assessment tools, we can help you measure and identify the “formula” of skills and characteristics that are currently resulting in success at your company. We’ll show you how to compare attributes of both top and bottom performers to determine what does – and does not – work at your company. Not only will we help you hire smarter, but we’ll also help you interpret the results to most effectively develop training for your existing salesforce whose numbers you’d like to improve. Creating Exceptional Customer Service Experiences: Whether you’re in an industry like healthcare, retail, hospitality, or financial services, we’ve got the tools to help you ensure that you’re hiring the right people to represent you. If you’re concerned about reliability, integrity, work ethic, and general customer service attitudes and philosophies, we can assist you in screening and hiring the right people whose values and performance will align with your organization. Our bottom line belief is that when the right people are in the right jobs, they will be more engaged, productive, and generally happier overall. This creates a Win-Win-Win situation: the employee is happy; the employer is thrilled with the employee’s performance; and the customer experience with the employee is positive and memorable. We’d love to help your company reach its fullest potential! Please contact us at info@legendtm.com, and one of our sales consultants will contact you promptly. We’ll discuss the challenges that you are currently facing and let you know how we may be able to help!